I’ve been wondering about this for a while now. Should grief make you self absorbed? Let me tell you of someone I knew. A young woman, a mother of two boys, one quite severely challenged, and with another child on the way, she suddenly found herself a widow. Still grieving with a baby on the way, she did have the support of her family and her husband’s but she was alone. A few years after her third son was born, came the devastating news that she had cancer. I met her when the cancer was in remission – graceful, smiling and humourous. She asked me if I was still single, joked that she was too and maybe we should start looking for guys together! A few years later, the cancer was back and it was terminal. She passed away, still a picture of grace, knowing that she was leaving behind three young boys, including one that had to go into a home, and believing that they would be looked after. And they were. Even as I’m typing this story, I wonder how she managed her deep grief so beautifully and turned it around to be the warm, brave and compassasionate person she was. I’ve seen other turn people allowing their grief to change their personalities in a negative way . A few of people I’ve met will not talk about anyone else other than themselves and their feelings. This, many years after the events that that triggered their grief. I meet them, and they never ask how I’m doing. Or if they do, I sense it’s just a way of being polite and not because they’re genuinely interested. We all need time and space to heal. I get that. Grief and the way we process it is as individual as our fingerprints. 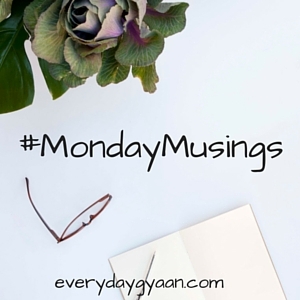 I’ve written earlier about how each of us has different time frames for moving on. But we’ve got to realize grief is not just brought about by the passing of a loved one. Any loss can bring grief. All of us have losses. All of us have grief. Some people feel that when they have lost a loved one, they’re entitled to get a free pass on everything. While others, who’ve faced similar losses have chanellised their grief in such a way as to be more compassionate, more humane. I think, like everything else, self-awareness plays a big role in how we allow our grief to plumb the depths of us and bring out the best within us – strength, compassion, love, understanding…. Thanks for sharing such a lovely post, Corinne! Absolutely agree with you that while it is fine that people need to take their time to grieve, and each individual is different here, but one should keep it in mind that it isn’t used as “a free pass for everything”, as you rightly say! I so detest that sense of entitlement that some people have over others purely because something terrible has happened to them and they, thereby absolve themselves of all responsibility of being accountable to others for their action, thought and behaviour! ——I know one thing for sure. I shall mourning my sister’s murder my entire life. There will never be an ending to that. Ever. Impossibly & amazingly, thru this grief, I’ve also found joy and gratitude. We can’t even imagine what a person in grief might be going through. It is better to be supportive and do your bit. She was indeed a great soul and it is always helpful to be positive. This– “I think, like everything else, self-awareness plays a big role in how we allow our grief to plumb the depths of us and bring out the best within us – strength, compassion, love, understanding….” So many times we let grief overtake us and riddle ourselves with depression and negativity but I like what you’re saying here. It can sound so cheesy to say something like “positive come from ‘bad’ ” but you’ve worded in such amore powerful way! I love this, Corinne! Great truth here! I loved the post, and all of the comments. It’s timely in my life because someone in my life suffered the loss of a parent last year and has not behaved well at times, even bringing my mother in law to tears. This in law is going to have to work her way through it. I only hope, for the sake of our family, that she comes out the other side a different person. On the other hand, I have seen incredible grace and compassion in people who have suffered losses and made it through the resulting process. I lost my mother recently and have been grieving silently ever since. I’ve tried to not let my family get affected with it. At times I manage that, and at times I fail. It needs time and some positive effort from our side. The person is gone, but we should keep him alive within us and pray for his happiness, wherever he is. So sorry to hear about your mother, Varsh. I think the important thing is to allow yourself to grieve. But how we then take that grief and allow it to become a means of changing our outlook, is what matters. Honoring our loved one who has passed is important, but so is making sure that we continue to honoring the people who in our lives at present. Superb post with an incredible message with the quote by Rumi serving a perfect ending. It really helps to be positive in life as it lends that silent support and assurance to the ailing heart that everything would actually be fine and someone is there watching you and taking care of you at all the time, even during the grimmest of the hour. However, it’s just that at times, being human, the heart has the tendency to get carried away a bit despite being profound. Wow! She was incredible. Positivity heals a lot of things. But how many people can put that face up when such situations come up. Grief is hard to tackle and she did it so well. Thanks for sharing with us Corinne. Grief is so different for everyone. I think once you experience it, you then recognize that there is no universal way of handling it. Hopefully time heals for all. That’s one of those questions that is hard to answer unless you’ve experienced it. In which case I have not, and don’t want to even imagine it. I think we all deserve a several weeks worth of a pass but I hope that I wouldn’t wallow in self absorption too long. Love this and I so agree. There are those that use their grief as an excuse to say “To heck with everyone!” There are others that harness their grief and use it to show compassion and understanding to others. Grief is grief, whether through a physical death or an emotional death- both types hurt. It’s up to us how we process it and hopefully more people will learn how to channel it and help others through their own grief. This is a very provocative subject. Grief hits people differently. A friend of mine lost her daughter at age 17, 4 years ago. She has been almost inconsolable for 3 years. Lately she is much better and can talk about her daughter and look at the future. Another friend lost her son at age 15 and was able to be compassionate enough to donate his organs. In her darkest moments she thought of others. How sad for that mother and her children! Life seems so unfair sometimes. I have a friend who remembers every detail of my life and all the things people tell her in brief conversations. I have another who remembers nothing, and only talks about how she’s doing and what’s new in her own life. What a difference this makes. The first friend is so loving and genuinely caring ( a great listener); the other is completely self-absorbed. It’s tough sometimes to be introspective and self-aware without becoming self-absorbed and oblivious to our surroundings. I love this post. Actually, I love all your posts! Thank you. It is very difficult to hold up if you do not have a supportive ambience. For instance, when my father was very ill during a time, the relatives I stayed with found it fit to sit and grieve about the difficulties we had to face, thinking they’re helping me out while the effect was actually contrary. Thinking positively and rationally at the time helps to cope up with the situation. I can’t help thinking that, nice as people consider me, I would become bitterly self absorbed. I hope not to find out if that’s humanly possible. 🙂 Conversely, I have always thought that I would deal well with the bereaved and considered getting into the funeral home business but ultimately didn’t pursue such work or counselor training and just took whatever employment came my way. I think I am fairly positive in my life and can channelize my anger most of the times but I don’t know the pain and grief death of a loved one brings. Will I be able to stay positive then and practice compassion? Questions to be faced. A post full of warmth Corinne. Grief is handled by different people differently. But as you point it out, grief that becomes self-absorbing can not help. It cannot help you heal. I have been through hell of a time too. Grief made me cripple, in many ways. And I still try to heal myself. I try to reach out to people, telling myself that I am not the only one who has suffered. But to confess, it has taken time. Really negative emotions have really negative effects, unless countered with supremely positive emotions! Having the right people around you is also important – if the people around you also allow you to moan and weep and still babysit you, it’s really a thing worth grieving about. Thank you for sharing, Naba. 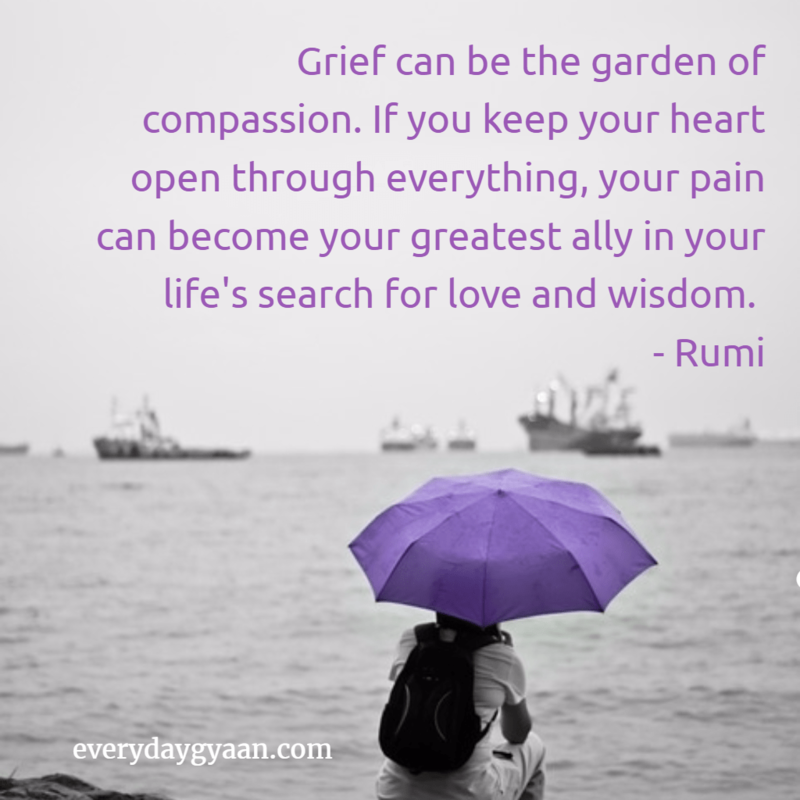 Grief is grief – no comparisions. It’s but natural that we have anger – one of the stages of grief. The question is when is it time to move forward, to allow that grief to work in a positive way within us. It’s obvious you are no longer angry, but are able to see the blessings that came out of that situation.